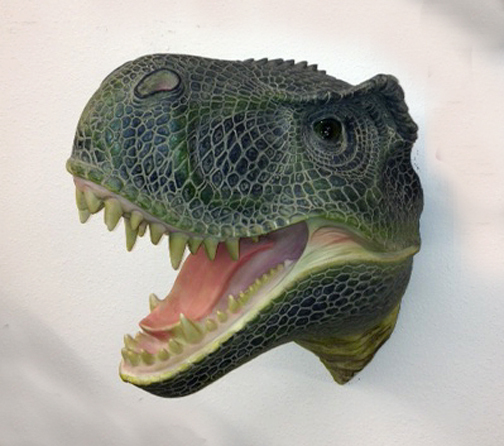 We’ve been WAITING for a reasonably priced, well made, T-Rex head that you can mount on the wall and HERE IT IS! It’s sturdy, has a mounting piece on the back and is 14″H x 9″W x 13″Deep. It’s pretty cool because it’s head is tilted a little bit, rather that a straight on pose. We’re VERY excited about this new addition to our Dinosaur Farm lineup!! Tags: head, mount, wall, decor, room.